A rich calendar of cultural, musical events, meetings and exhibitions, enrichen the tourist’s choice of activities in Cortina, both in winter and summer. The Museum of Modern Art Mario Rimoldi, in the center of Cortina, houses a major collection of works by some of the greatest Italian artists of the twentieth century. Home of winter sports, Cortina hosts international events such as the Women’s World Cup Skiing and the International Summer Curling Tournament. In June, athletes from around the world compete in the Lavaredo Ultra Trail, a mountain race at high altitude, running through the most beautiful places in the Dolomites: the Cristallo, the Tofane, Cinque Torri and the Tre Cime di Lavaredo. In July there is the Coppa d’Oro delle Dolomiti, a showcase of vintage cars parading through the Dolomite passes. There is plenty of history and tradition in Cortina. Every first Sunday of July, there is the Sagra d’Ampezzo, a huge festival with plenty of music and local food, and there is the Corsa dei Sestieri, a race in which six districts of Cortina compete in various tournaments of strength and skill. 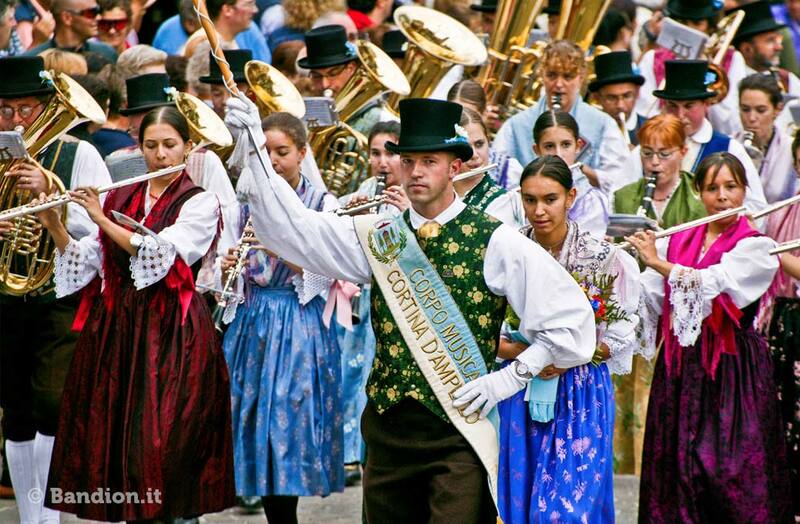 Not to be missed at the end of August, is the the Cortina Festival of the Bands. For an entire week of music and folklore, you can listen to some of the best national and international bands perform!